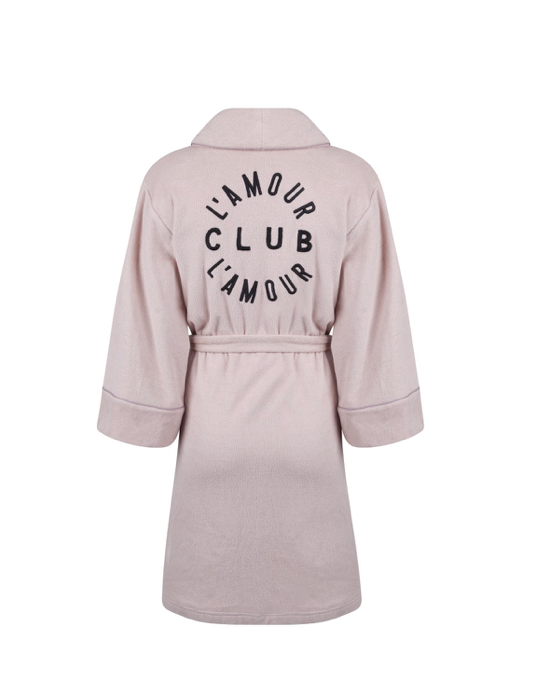 LOVE STORIES, This cosy, oversized bathrobe in a subtle shade of blush pink is cut from soft terry cloth cotton. 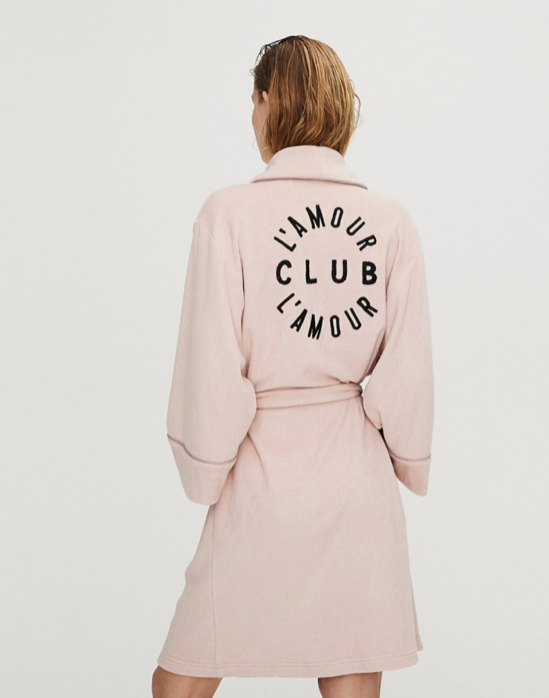 It has two large patch pockets and is decorated with a small Club l’Amour embroidery detail at the front and a large one at the back. Finished with tonal satin piping and a self-tie belt to cinch at the waist.